This post has been prepared by one of our volunteers, Frank Lockley. The roll of honour in the Midlands Counties Express of 18th May 1918 includes Private Edward Douglas Wagg of the North Midland Field Ambulance. It also states that his brother Gilbert Arthur had been killed the previous year. Edward and Gilbert were sons of Arthur and Ada Wagg. They had an elder brother, Harry Clifford, and the family lived at 166 North Street. Fortunately the service records for both brothers have survived. Edward was born in 1894. He initially enlisted in the territorial force in March 1911, when his occupation is shown as railway clerk. He was posted to the Royal Army Medical Corps and entered France in March 1915. His service record shows that he received a gunshot wound to in the leg and hand in October 1915 but only spent 1 day in hospital. He died on 10th May 1918 from the effects of gas poisoning received in action. He was treated in the Canadian General Hospital at Étaples and is buried in the Commonwealth War graves Étaples Cemetery. His service record includes the details of his personal effects that were sent to his father. They included letters, photos, a cigarette case, fountain pen, coins and four unopened letters. He is commemorated on the North Midland Field Ambulance memorial in St. Peters church. Gilbert was born in 1898 and appears to have enlisted on his 18th birthday, 27th May 1916, into the Army Reserve. His record shows that he was a clerk at the Chromographic Enamel Company in Dudley Road. He was mobilized to the 15th battalion London Regiment on 9th June 1917 and landed in France on 25th June. He was reported as initially missing but then killed in action just a few weeks later on 16th August. He is commemorated at the Menin Gate. I write in the interests of the parents. A pal of the above has written to say that after being in action with him round the 20th August he has lost him – Gilbert Wagg – . The last letter received was dated 10th Aug. The newspaper article states that the brothers’ mother Ada had died in January 1918 (aged 43). Their father Arthur died in 1921 (aged 51) and there is correspondence in Glibert’s records between the surviving brother Harry and the Infantry records office in December 1921 to the effect that he was now next of kin and so entitled to receive Gilbert’s medals. This post has been prepared by our volunteer, Ann Eales. Private J. Jordan, 1st South Staffords, died from wounds received in France. His father, an old-age pensioner living in Leicester Street, Bilston, has another soldier son. Deceased served five years in Africa before going to France. Further information is now available. His full name was John Jordan, he was born, and lived, at Bilston, and died on 15th November 1914. He had enlisted at Wednesbury, and his regiment number was 8626. There does not seem to be any mention of him on any local war memorial. The Military Records that have been traced are minimal: his medal card, and an entry for him on the South Staffordshire Regiment Roll of Individuals entitled to the Victory Medal granted under Army Orders 301 and 266 of 1919. The list, signed off at Lichfield on 10th April 1920, has only his name, rank, and regiment number. There is no indication that his medal was ever dispatched or collected. Regiment/Service: South Staffordshire Regiment 1st Bn. Grave Reference: III. C. 34. There is a John Jordan birth recorded at Wolverhampton in the 4th quarter of 1888, but also one in the 2nd Quarter of 1890, the latter perhaps more likely to be this man. 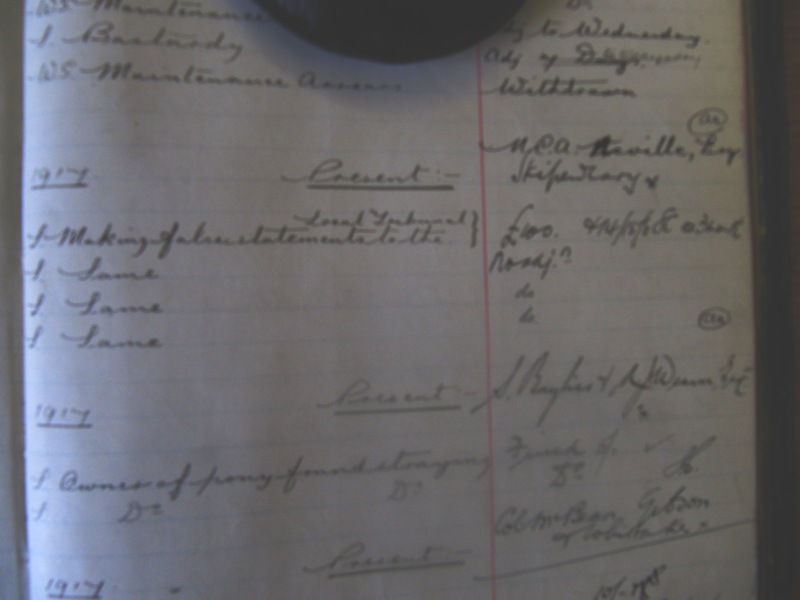 The 1891 census shows the Jordan family living at Temple Street, Bilston. Joseph Jordan, John’s father is age 51, and a Boat Builder, reportedly born at Bilston. His wife Ann is age 40: they have 7 children, all born like their parents in Bilston. Emma age 21 works as a Japanner, Mary A age 20 is a Packer at a Hollowware Works, Ann age 18, Joseph age 15, Hannah age 9 Scholar, John age 2 born 1889 and finally Thomas age 1. At the time of the 1901 census the family was still living at 61 Temple Street. Joseph, now age 60, is a Ship and Boat Builder, Wood & Iron, and his Birthplace is recoded as Runcorn Cheshire. Mary Ann is age 49, the girls have left home, but Joseph age 25 lives there and follows the same occupation as his father. John is age 12 and his younger brother Thomas is age 11. There is no mention on the Census Form of the 2 youngest children going to school. 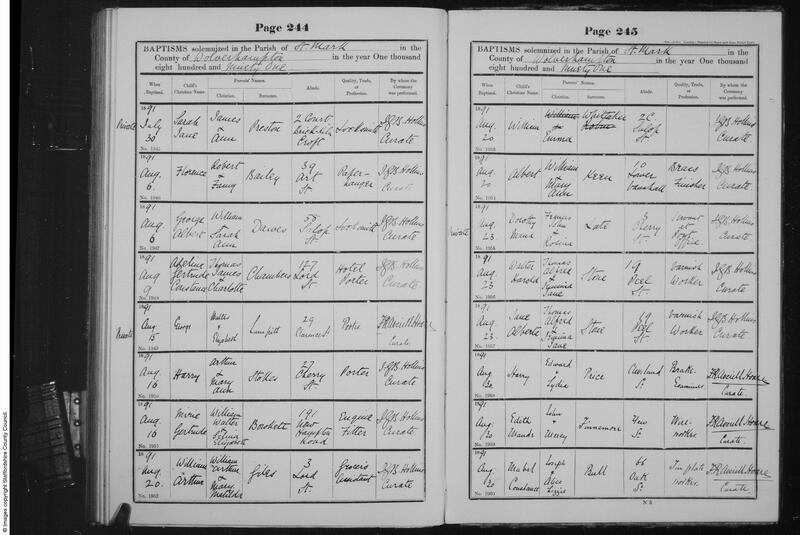 At the time of the 1911 census John Jordan’s father, Joseph is a widower, age 71, Occupation recorded as Formerly a Boat builder, born Runcorn, living alone at 1 Back of 32 Lester Street Bilston. Both John and Thomas are recorded living at military Establishments. John is based at Albany Barracks, Parkhurst Carisbrooke, Isle of Wight. The census transcription tells us that he is age 23, born about 1888, at Bilston Staffordshire, England, County/Island is “Military”, Country is England, Military Unit is “Infantry 1st Bn South Staffordshire regiment”, RD is No 641, ED, institution, or vessel is “Arabia, Cyprus, and Gibraltar” Piece is 34996, and not altogether clear unless one is familiar with military census records. 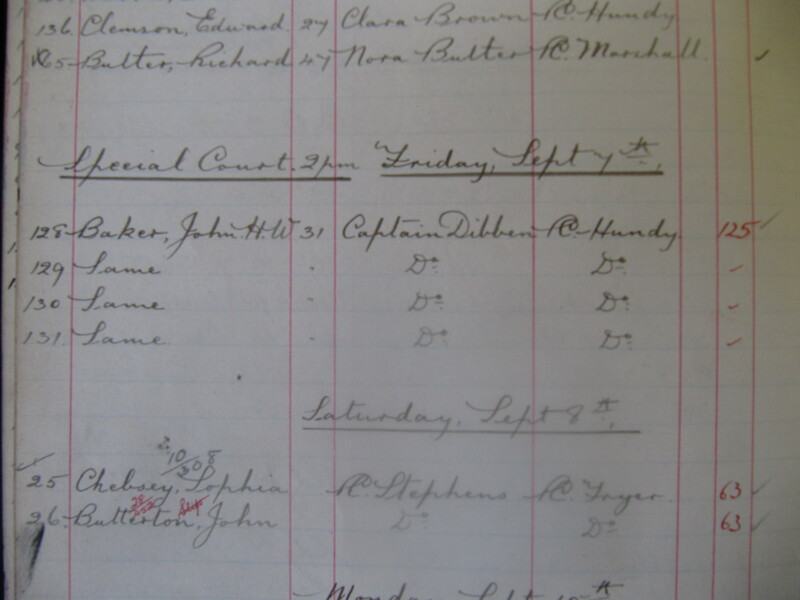 The 1911 Census also has information available about Thomas, Joseph Jordan’s other soldier son mentioned in the Express & Star article, showing him at Carisbrooke, also, and a member of the 1st Worcestershire regiment. Information about him and his military career is proving elusive at this stage, and further investigation will be needed. He may have survived the War as there are several marriages for Thomas Jordans, and a record of a death of a Thomas Jordan age 69 being registered in Wolverhampton in March 1960, which could be the same man. Joseph Jordan appears to have lived to the great age of 82 years, based on there being a death registered in June 1921 at Wolverhampton for a Joseph Jordan. A death Ann Jordan age 58 was registered at Wolverhampton in June 1909 and this would seem to be his wife. The son of Edward W. and Eliza Hughes, Robert was born in Wolverhampton in 1888. In 1901, they were living at 33 Francis Street, Wolverhampton, along with Robert’s siblings Cissie and Henry E. By 1911, Robert, and his siblings Henry and Violet were boarding in the home of Arthur Bedwell in Aston. Robert was working as a viewer at a shell work. Robert enlisted in the 8th Battalion and later the 6th Battalion of the Somerset Light Infantry (number 15119), first serving in France from 8 September 1915. He started as a Private and was promoted to Corporal. He was taken as a prisoner of war, but was reported as missing on 21 March 1918. His death was later presumed to have taken place on this date. He is remembered at the Pozieres Memorial in France. This article has been prepared by volunteer, Ann Eales. On Tuesday 25th March 2014, the Wolverhampton WW1 Blog mentioned that volunteers had scoured the local newspapers, in particular the Express and Star for mention of First World War stories are relevant to Wolverhampton. Many of the articles discovered were duly uploaded to the WAVE Flickr page. George Albert Dawes is among the photographed men featured from August to December 1914, see copy shown here. The article explains that he died in Hospital from enteric fever. Additional Information: Son of William and Sarah Ann Dawes, of 37, Lower Walsall St, Wolverhampton. The only Military record for him that we can trace is his medal card. George’s birth was recorded at Wolverhampton in the 3rd quarter of 1891. His baptism was solemnised in the year 1891 at St Mark’s Church Wolverhampton, as recorded on Page 244 of the Baptisms Register. He was baptised by the Curate on August 6th 1891, parents William and Sarah Ann Baker were living at 58 Salop Street, and his father was recorded as a Locksmith. At the time of the 1901 census the family was living at 26 High Street, Moseley, Heath Town, Wolverhampton. Father, William, Locksmith was age 48. The oldest children, Joseph, age 20, working as a Blacksmith’s striker, and Eva, age 12 were both born in Willenhall like their father: George and the 2 youngest children, Alfred, age 7 and Caroline, age 3, were born in Wolverhampton, like their mother Sarah, age 46. On the 1911 census, they were shown living at 37 Lower Walsall Street. George was working as a Printing Ink Mixer at a Varnish Manufacturers, also at home are Frank (Alfred on the 1901 census) age 17 working as a Keg Cleaner also at a Varnish Manufacturers and Gladys (Caroline on the 1901 census) age 13 who is at school. This post has been prepared by one of our volunteers, Ann Eales. The extract from the Chief Constable’s Records held at Wolverhampton Archives, show that a Special Court was held at 2pm on Friday September 7th 1917, when Baker was charged before Captain Dibben with 4 Offences of Making False Statements to the Local Tribunal, PC Handy being the arresting officer. There is more detail in the newspaper reports. Baker applied for a Certificate of exemption from military service on the grounds that he had an office in London, that he was working there and in Wolverhampton, and that under the direction of the Auctioneers’ Institute he was taking the place of men in auction businesses who had been called up for military service, throughout the country. In the event he pleaded guilty to the 4th charge. It was stated that he was not an auctioneer and surveyor, and at the present time he was earning £2 a week in a local munitions factory. On 31st December 1917, it was reported in the Express & Star that he should have reported for duty at 9 am on 27th December, but failed to do so. He had been served with call-up papers at 4pm at Winson Green but next morning had asked leave to appeal, but this was refused. He came out of prison shortly after 9 am on December 24th, and arrived at Wolverhampton Town Hall at 12 noon where he asked for the appeal form. This he posted on 26th December he stated. It was held that he had done what he could, and that the matter would have to go before a tribunal. All military appeal tribunal records, right across the country, were ordered to be destroyed after the war. Although an oversight has resulted in those from central Staffordshire surviving, Stafford Archives has confirmed that there are no records for Wolverhampton among them. There appear to be no military records for this man, so perhaps he managed to avoid military service completely. He certainly was not a conscientious objector, and he survived the War, as confirmed by records available. He did, however, serve as a Special Constable in Wolverhampton. The 1891 census shows the family living at 17 Harley Street, at Bow in London. Joseph Baker, the head of the family is working as a superintendent and agent for Prudential Assurance, and his wife Sarah and son John H W, age 4 and recorded as born at Ledbury, Worcestershire, are also living there, together with Amy Ward, the servant, age 75, born at “Billstone” Staffordshire. Is it this time living in London that inspired John Baker’s untrue story about working there as an Auctioneer, one wonders? By the time of the 1901 census, the Baker family was living at 168 Lea Road, Wolverhampton. Joseph was still working for the Prudential assurance company, his son John H W is age 14, born Oldbury, Worcester, but no occupation is shown. John’s sister Florence A R Baker is age 4, birthplace West Bromwich. Mary Crump, sister of the head of the household, likely to be sister in law, “dressmaker own account” age 53 also lives there, along with a servant Alice Parkes, age 17, birthplace Stafford Woodsetton. The 1911 Census shows John Harold Whitford Baker, age 24, birth year 1887, Single, occupation “Auctioneer And Culins, Own Account”, Birthplace Worcestershire, living at 168 Lea Road, Wolverhampton, with his parents, Father Joseph Baker who is a pensioned Superintendent Prudential Company age 64 born in Staffordshire, Mother Sarah Damaris age 61 born at Hullbrook, Staffordshire, his sister Florence Agnes, Single, age 16 born at West Bromwich, Staffordshire, Occupation “Millinery, Own Account” and a female Domestic Servant Elizabeth Cotton Single age 21 birthplace Bradlow Staffordshire. There is a record on 29th July 1921 of the marriage of John Harold Whitfield, bachelor, age 34, to Alice Maude Chapman, spinster, age 33, daughter of Robert Chapman Solicitor of the Supreme Court taking place at West Croydon Congregational Church, Surrey. His rank or profession is given as Auctioneer and Surveyor. Birth Quarter ended September 1922 Albert E Baker mother Chapman also registered at GuildfordBirth Quarter ended March 1931 Arthur E Baker mother Chapman registered at Croydon. 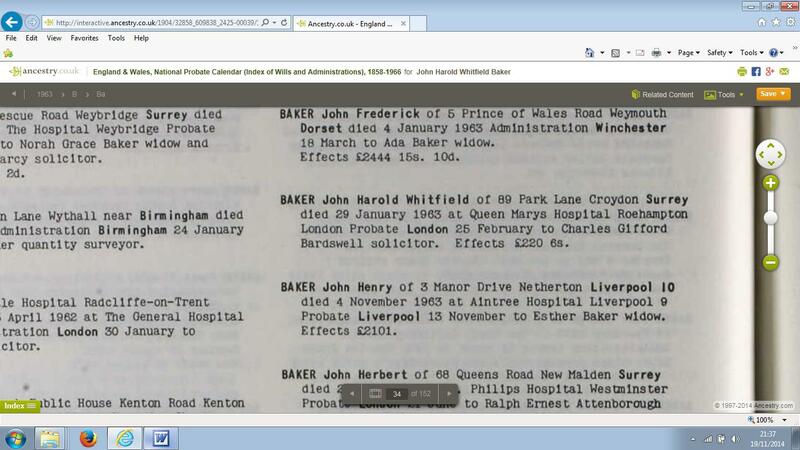 A record of the death of a John Harold Whitfield on 29th January 1963 turns up among probate records. From the value of his effects, he does not appear to have been a wealthy man. One of our followers on Facebook contacted us with information on her great-uncle. This is his story. John James Keay was the son of John Keay and Florence Preece, from Bilston. He was born in St. Leonards, Bilston in 1893. In 1911, the family lived at No 2 Back Of 18 Broad Street, Bilston. He joined up with the 7th Battalion of the Kings Shropshire Light Infantry (number 17049). The 7th K.S.L.I. took part in an attack on Bazentin Ridge on 14 July 1916. The Battalion advanced at 3.20 a.m. from a sunken Road in No Man’s Land,and there were a few casualties from the preliminary bombardment. The Battalion than ran into uncut wire in front of the German front line. The remnants of the Battalion fell back to a sunken road 200 yards from the German line, leaving many wounded behind including Colonel Negus. They attacked again at 11 a.m., and with the help of bombing parties from units on the flanks and captured their objectives. John James Keay died on 18 July 1916. He is commemorated on the Thiepval Memorial in France and and on the Bilston Town Hall War Roll of Honour. The lady who contacted us would dearly love a photograph of her great-uncle, so if anyone can oblige or suggest a possible source, it would be great to hear from you! Albert Preece was born in Wolverhampton in 1894, the son of John C. and Martha Ellen Preece (nee Wynn). In 1901, the family were living at 60 Fordhouses, and Albert appeared with his parents, his brother Harry and sisters Ellen and Ann. By 1911, the family are at Coven Heath, Bushbury, and Albert has become a farm labourer. They have been joined by a further daughter, May. Albert joined the Royal Field Artillery as a Fitter (number 820695). He survived the war, but unfortunately died on 23 February 1919. 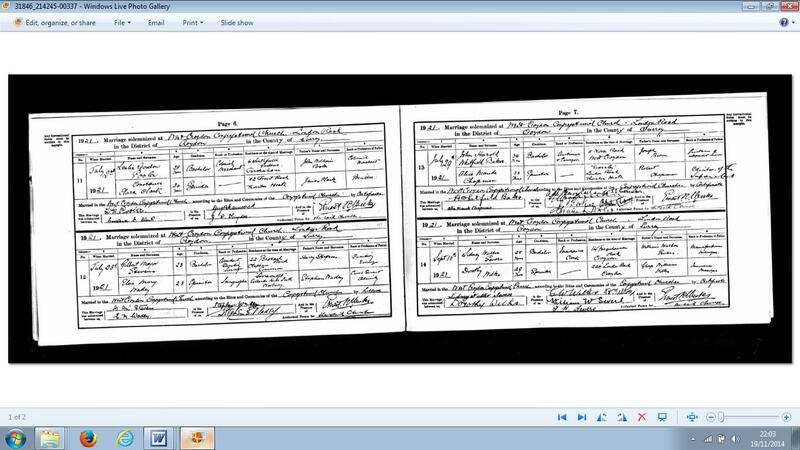 His death certificate records that he died of influenza and cardiac failure at 34 South Street, Bushbury with his sister in law, A. Preece of Light Ash, Brewood in attendance. It also records his occupation as being a Gunner in the RFA and a Railway Engine Fireman. He is buried at Bushbury (St Mary) churchyard, and is commemorated on the memorial at the church. James Price was born in 1894 in Wolverhampton, the son of John and Caroline Price (nee Baines). By 1901, his mother had been widowed, and they were living at 1 Court Bagnall Street, together with his brother Sheridan and sisters May and Matilda. By the 1911 census, James is listed together with his mother, and brothers William and Harry at House 5, No 2 Court, Montrose Street. In total, his mother had 12 children, although four of them had died by 1911. James Price enlisted on 31 August 1912 into the 4th South Staffordshire Regiment (number 9003). This number was later changed to 203451. By this date he was down as a news vendor. Following his training, James was posted on 8 October 1914 to serve in France. According to his service records, his next of kin are given as his mother and brothers Joseph, William, Shedran [sic], Edward, and Harry. Due to his common name, there are a few possible marriages for him, but either way he appears to have survived the war. 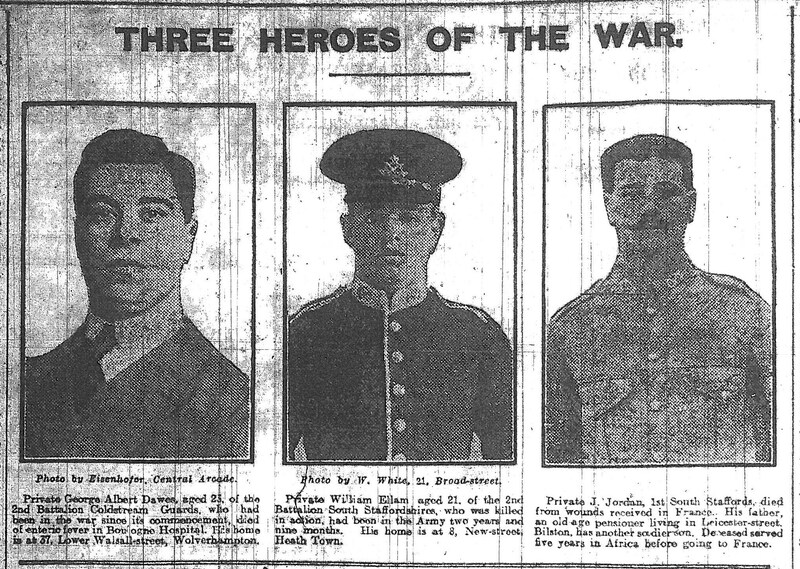 An article appeared in the Express & Star on 9 March 1915, stating that Mr and Mrs Birch, of 17 Herbert Street, had been informed of the death of their son, Drummer A. Birch, of the 1st South Staffordshire Regiment, at the age of 28. Albert Birch was born in about 1886. In 1901, he and his family were already at 17 Herbert Street, and the household consisted of Albert, his parents Harry and Ellen, his brother Harry and sisters May and Sarah. Albert was listed as a rope and twine maker. According to the newspaper article, Albert had served 12 months in the Army Service Corps and 8 years in the South Staffordshire Regiment, and he was “well-known throughout the regiment and in the music-halls of Pietermaritzburg (South Africa) as a clever comedian”. However, I have not been able to find him listed on the Commonwealth War Graves Commission site, nor on the Wolverhampton War Memorials site, and he is not listed in the Wolverhampton Roll of Remembrance. Could it be that he was not killed after all? As there are two men called Albert Birch born in 1886-1887 in Wolverhampton, it is difficult to pin down which of them is this man. One of these men, Albert Harold Birch, clearly did survive the war as he married Gladys M. Cooper in 1929. If anyone is able to provide more details about this man, I would be glad to hear from you! 1st Southern General Hospital, 2nd Western General Hospital, Claverley, Ethel Beddoes, Ludstone Manor Farm, Manchester, Military Hospital Bagthorpe, Nottingham, Purfleet, Red Cross, Shropshire, University of Birmingham, V.A.D. Ethel May Beddoes was born in 1888 in Habberley, in Shropshire, and by the 1901 census she was living in Worthen, Shropshire. She became a nurse for the Red Cross, and her permanent address is given as Ludstone Manor Farm, Claverley, near Wolverhampton. On 25 May 1915, at the age of 27, she became working at the 2nd Western General Hospital in Manchester. This was a Territorial Force General Hospital, which were usually based at existing hospitals and other large buildings. The main 2nd Western General was based at Whitworth Street, but also had more than 20 other sites in Manchester and Stockport. Ethel stayed there for two years. On 29 August 1917, she moved to the Military Hospital Bagthorpe, in Hucknall Road, Nottingham. On 21 March 1918, she moved hospitals again, this time to the 1st Southern General Hospital, which used some of the buildings of the University of Birmingham. She was discharged on 21 April 1918. There is a second card for her, as she picked up duties as a V. A. D. again on 8 May 1918, when she was paid £20. This time she worked at the Military Hospital in Purfleet. Her duties there were terminated on 16 May 1919, by which stage she was being paid £22.